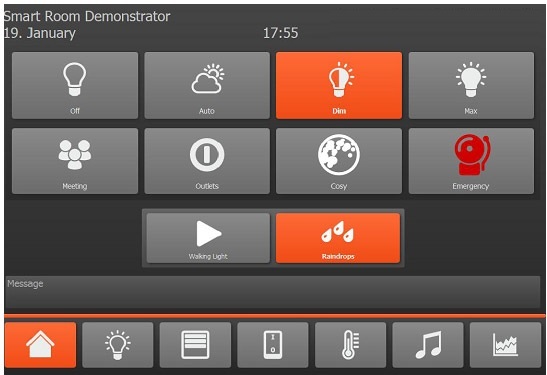 Digital Smart Lighting Controller is a decentralised, IP-based lighting solution for intelligent buildings. Here, standard network cables supply both electricity and information for energy-saving, dimmable LED lighting. This reduces the installation effort compared to conventional networked lighting solutions, since it is not necessary to carry out a separate and cost-intensive installation of a 230-V supply and control BUS. 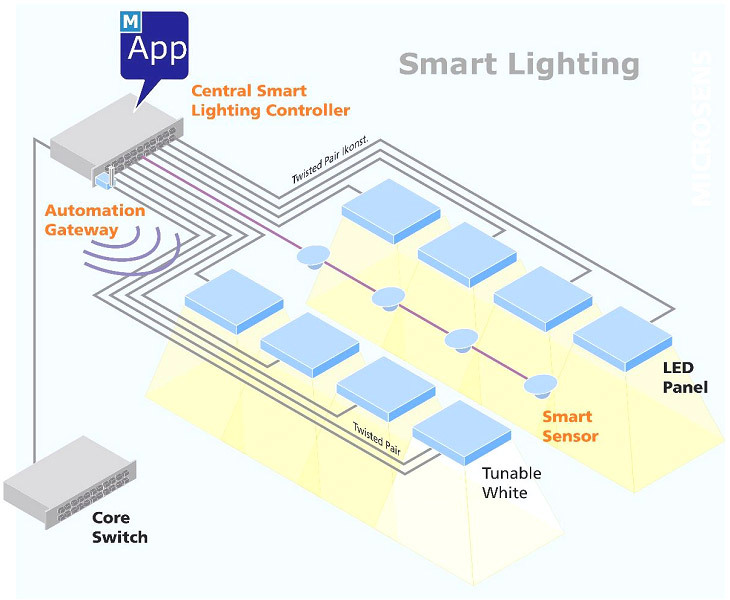 The Centralised Smart Lighting Controller is a multi-port, constant power supply for up to 48 individually controllable LED lamps. Up to 34W are supplied per port by means of standardised twisted-pair cables. The integrated control ensures the generation of uniform light and flicker-free dimming. Motion or presence sensors can be connected via three wired bus inputs. In addition, it is possible to integrate light switches or further sensors or actors via wireless communications into the system. Find how our Centralised Lighting Driver Technology can enhance your project lighting efficiency, Fill the form below.